Hanoi (VNA) – Head coach Park Hang-seo has selected 37 players to prepare for qualifiers for the 2020 AFC U23 Championship. Many of them played for the U20 team that competed at the 2017 FIFA U20 World Cup, as well as U23 and national teams, such as Nguyen Quang Hai, Tran Dinh Trong, Doan Van Hau, Ha Duc Chinh and Nguyen Tien Linh. The Korean coach also chose 13 players from the U22 team who performed well at the recent 2019 AFF U22 Youth Championship for his preliminary squad, including Bui Hoang Viet Anh, Tran Danh Trung, Phan Thanh Hau, Ngo Tung Quoc and Bui Tien Dung. The best 23 players will be selected for the squad for the U23 championship’s qualifying round, scheduled to last from March 22 to 26. 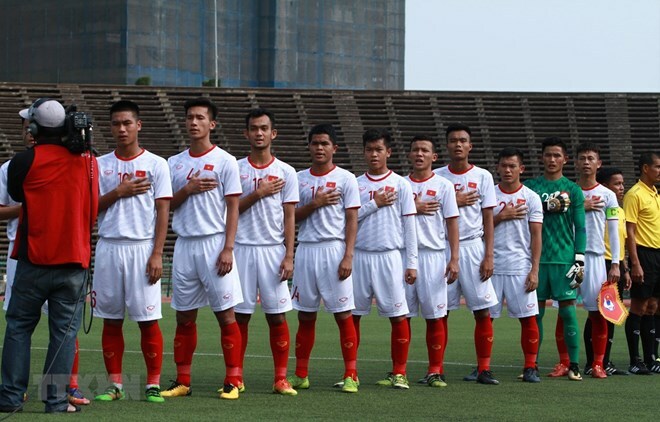 The Vietnam Football Federation said with many U22 players summoned, coach Park Hang-seo aims to not only improve the team’s strength ahead of the qualifiers but also prepare for future events, including the 30th SEA Games in the Philippines this November. The first training session of the preliminary squad will take place in Hanoi on March 6.